Three interactive visualizations on UWP’s mWater dashboard – great overviews and simple ways to narrow down the data collected. It wasn’t all that long ago that stacks of paper were piling up here in the Ugandan Water Project office. By the ream, our staff shuffled and sorted forms transported to Rochester, NY all the way from Kampala, Uganda. We piled and unpiled. We filed and un-filed. In vibrant colors, we scribbled notes in the margins of our red-dirt stained stacks, trying to make sense of the data we were amassing. Impact surveys. Installation reports. Pre-site assessments. We were collecting all sorts of data in the field and bringing it home with us! Paper pre-site assessments used pre-mWater. Firmly stationed at the forefront of our Ugandan Water Project workflow is our Pre-Site Assessment survey. This assessment plays a particularly important role in evaluating the opportunity for UWP work at potential project sites. We seek to prioritize sites crippled by the most severe and urgent needs. In order to objectively identify these high priority sites, we employ a scoring system in the Pre-Site survey. In the paper version of our Pre-Site Assessment, we asked a set of questions with weighted scores assigned to each response. 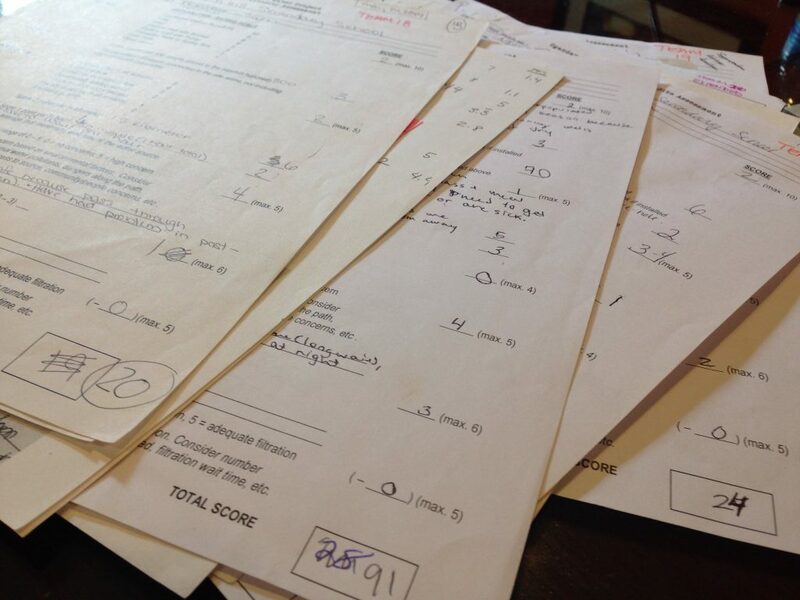 After completing the paper form of the Pre-Site Assessment, a total score was then hand-tallied into a single number. This value offered a quantitative value that correlates to the level of need at a particular site. While this output lacked meaning on its own, it could be easily compared to the scores calculated for other potential project sites. While this methodology made objectively comparing sites based on need possible, we were still left with a problem. Our data and scores were held captive in stacks of paper. Tanner Hoffman (UWP), Clayton Grassick (mWater), James Harrington (UWP), and Annie Feighery (mWater) during mWater training. While we had an overflowing spring of enlightening information at our fingertips, our data was trapped. It failed to speak to us. Our data collection and analysis methods were insufficient for our needs. Pen and paper simply could not keep up with the growing demands of our rapidly expanding organization. We were restricted by the ball-and-chain of our outdated and antiquated techniques. As a small organization, we lacked the capacity necessary to pour hours upon hours of our staff’s time into transcribing paper forms into electronic spreadsheets to enable appropriate data analysis. We did the best we could with the resources we had, but it wasn’t nearly enough. Surely, evidence-based action did not have to be such a burden! 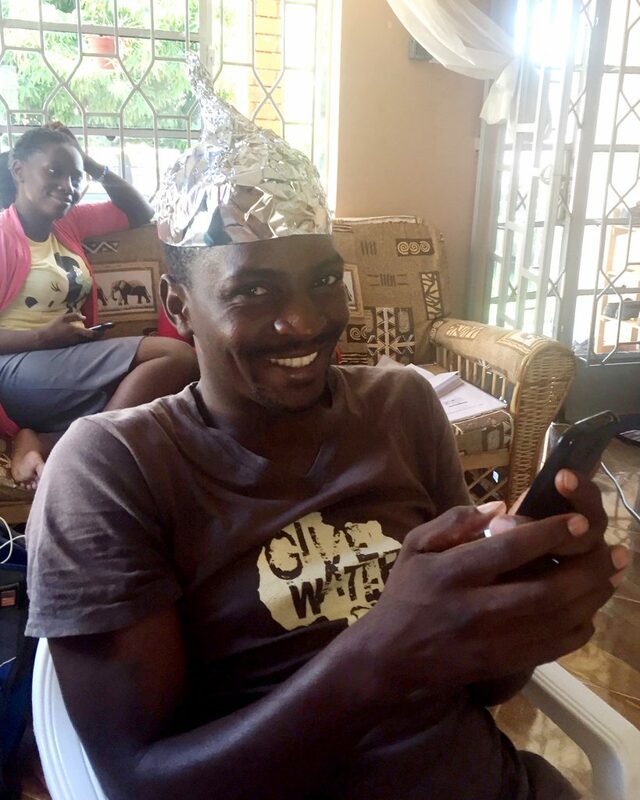 Project Manager Collins Alinaitwe testing out the mWater mobile platform. 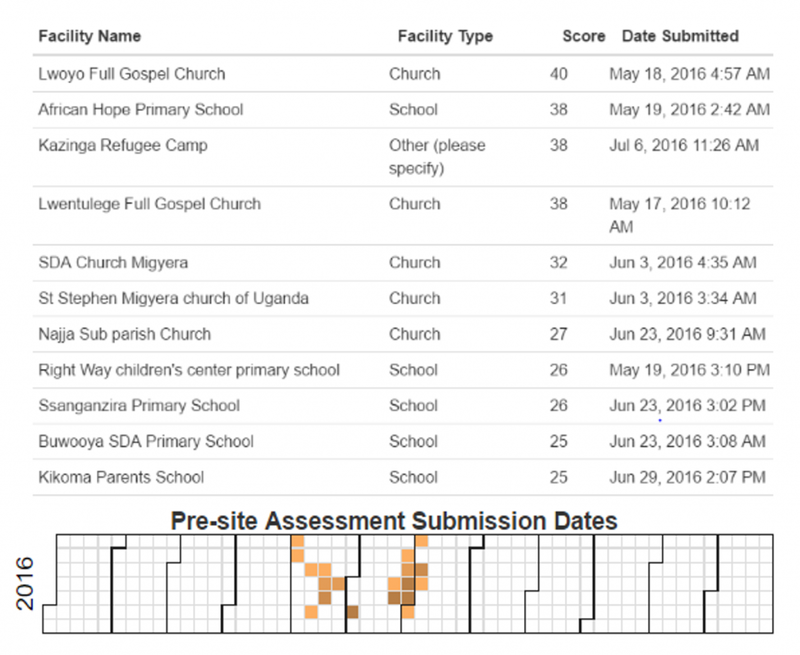 Dissatisfied with our own bumbling approach to data collection, we watched with a hint of jealousy as many of our friends and collaborators throughout the WASH sector pumped out streamlined programs to gather, analyze, and share data. The contrast between our method and what was obviously available pushed us to explore other data collection options. We needed to find a mobile technology platform that was fine-tuned enough to satisfy Western analytical demand. It also had to be durable enough to withstand our rugged East African context and concrete enough to integrate with the capacity of our Ugandan field staff to collect the required data. After hours of online research, countless emails with monitoring and evaluation (M & E) professionals, and a few insightful Skype calls with WASH experts, we locked in on mWater. As a mobile data collection platform geared towards M & E within the WASH sector, we had no doubt that mWater offered the services we needed to refine our data collection and analysis efforts. As we entered into relationship with mWater’s key leaders and visionaries, our data collection dreams began to take shape. Before long, we had electronic forms designed and ready for use by our Ugandan field staff. After a week-long face-to-face training session in our Ugandan office conducted by mWater’s CEO Annie Feighery and CTO Clayton Grassick, our M & E program officially launched. As our staff amassed data in the field, information began to flow freely throughout our organization. With our newly adopted platform, we are able to satisfy organizational needs that extended far beyond the scope we had originally intended. Now, any data that we collect in Uganda funnels straight into mWater’s online platform where our staff can efficiently analyze our data through concise and customizable visualizations. A table of calculated pre-site scores in mWater. With our fruitful relationship blooming with mWater, we wondered if there was a way that our Pre-Site survey scoring calculations could be computed automatically by the mWater platform. If this could be done, we could streamline our workflow by eliminating the need for our staff to perform the calculation task. Furthermore, if the calculation could be generated by the platform, we would be able to use the data to create visualizations of our scoring output. Not only would this custom software fit our unique Pre-Site Assessment needs and succinctly aggregate data, but it would also play a critical role in site selection and donor relations! It quickly became clear to us that, at the very least, we had to offer our ideas to mWater. Fingers crossed, we extended our vision to mWater’s development team. The group latched onto our proposal, embracing it with open arms. The team readily committed to developing the features we desired! Backed with a fierce arsenal of programming capabilities, Clayton Grassick, the mastermind behind mWater’s innovative technology, made quick work to develop the functions necessary to satisfy our enquiry. In short time, the feature was fully functional and ready to receive data from the field. Pre-site locations – color coded by pre-site score. Our Ugandan field staff, freshly trained on the use of mWater data collection technology, eagerly took to the villages of Uganda, cell phones in hand, ready to complete surveys. Among a plethora of data collected in early months succeeding our mWater training, we began to see fresh statistics for our Pre-Site Assessment Survey flow in. As the data started to compile, we were able to see our new mWater feature come to life. In a custom dashboard we set up in the mWater portal, we are now able to visualize our pre-sites in a table, on a map, on a calendar, and in a trio of graphs. In the table, we are able to order our pre-sites by priority according to score. By analyzing the map, we are able to review the geographic location of our pre-sites, with the color of the marker determined by the site’s priority. The calendar offers the ability to organize pre-sites according to the date we first became aware of the location’s need. Finally, in the graphs, we are able to visualize and sort our pre-site assessment data by both score and facility type. These new mWater features and visualizations present us with the tools to tackle our site selection process and effectively communicate data to our donors. 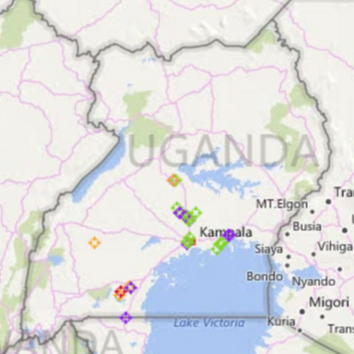 mWater, with its streamlined data collection technology, concise visualizations, and customizable features, is bringing both clarity and efficiency to our work in Uganda. Our American and Ugandan offices are now linked like never before. In real time, we can share our data and use it to tell compelling stories, both within our organization and with our friends around the world. With the help of mWater, we are continuing to take massive leaps forward as an organization, developing capacities that were dreams only a short time ago. 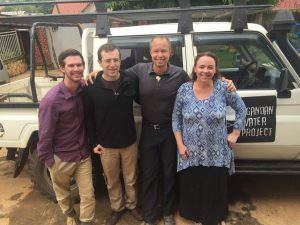 This innovative platform allows us to introduce an evidence-based and data-driven approach to our development work, complementing the Ugandan Water Project’s emphasis on relational values!